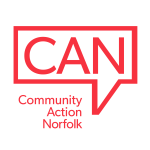 On Monday 23rd January Norfolk County Council's Adult Social Services Committee approved proposals to cut funding to services that provide support for vulnerable adults. The vote was split, but the proposals were carried by the casting vote vote of the Chairman, Bill Borrett. The Voluntary Sector Leadership Group (SLG)’s membership is drawn from key parts of the sector. It supports closer working on the key challenges between organisations. The group cites how housing support and advice are critical parts of preventing ill health and harm. The Sector Leadership Group is a strong supporter of a prevention-based approach as better for people, and also saving money in the long run. The group also cites strong evidence that these are services that work. A Department of Communities and Local Government research report into the value of housing related support overall found that it delivered £2.13 of benefit from every £1 spent. Concerns were also raised by the group about suggestions that a significant reduction in investment can result in the same level of activity. Attached is a document with two case studies of individuals who’ve experienced very positive outcomes – they represent the kind of personal successes that it’s felt could be at risk without proper funding support in the future. The Sector Leadership Group has been established to provide a mechanism for the Voluntary, Community and Social Enterprise (VCSE) sector to engage in wider leadership conversations and further the sector’s collective agenda. This leadership operates across local systems rather than within institutions. Much sector leadership work focuses on trying to achieve the two key priorities of integration and prevention. Research into the financial benefits of the Supporting People Programme, 2009 Department of Communities and Local Government can be found by clicking here. The Adult Social Services Committee paper can be found by clicking here.